Zwirn says that both of those people exposed to the chlorine gas are okay. Zwirn says that a hazmat team went up the mountain on a side by side to make sure that the chlorine gasses had been cleared out of the building and that the spray bottle was disposed of properly. Zwirn says that they get a call about the creation of chlorine gas on occasion, which can be extremely deadly. 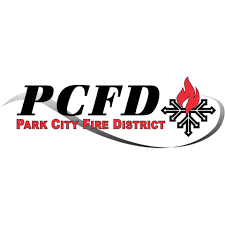 After weeks of negotiations Park City Professional Ski Patrol Association and Park City Mountain Resort reached a contract agreement running through November of 2020. 97% of the Park City Professional Ski Patrol Association members voted to approve the agreement. The agreement covers all ski patrollers and mountain safety personnel that work at Park City Mountain resort. If you’ve ever been lost on Park City Mountain Resort or wondered what run you’ll take on next at Deer Valley you’ve probably consulted with James Niehues. Niehues has hand-illustrated nearly 200 ski maps throughout the world and is releasing a book his art. James Niehues has been hand painting ski resorts for over 30 years, he explains how he got his start, picking up the work of another ski map illustrator.